A licensing board is a government-regulated agency that sets the standards for the minimum qualifications needed to practice in a specific profession. Many professions–medicine, nursing, law, and psychiatry, among others—require a license to practice. Mental health providers, such as psychologists, psychiatrists, marriage and family therapists, social workers, and counselors require a license to practice. In order to obtain a license, a therapist has to apply to a licensing board and prove they have the necessary education and experience to obtain the license. They also must reapply for license renewal after a set interval of time, usually every few years, in order to ensure they continue to maintain the standards of the profession. The purpose of the licensing board, then, is to regulate a profession in order to ensure the competency of its practitioners. The specific requirements a practitioner must meet in order to obtain and maintain a license are determined by the licensing board. For mental health professionals, a license typically requires a degree or certification, a certain amount of supervised experience, the successful completion of a standardized exam, and continuing education. Why Are Licensing Boards Important? The primary purpose of a licensing board is to prevent possible exploitation and harm. The general public may not have sufficient knowledge to recognize when a mental health provider is unqualified, so a licensing board sets the minimum standards a therapist must meet. The licensing board works to protect the public by ensuring that people entering a certain field have met all qualifications, providing a way for consumers to make complaints, and taking disciplinary action against providers who have violated the standards of competency. The existence of licensing boards may help consumers to feel safe and secure with the knowledge that those providing care and treatment are subject to oversight and regulation. Each specific profession within the field of mental health is governed by its own specific rules and requirements. For example, psychologists are required to meet specific standards set by a psychology licensing board. In some states, one licensing board may oversee various professions. In California, for instance, the Board of Behavioral Sciences regulates licensure for marriage and family therapists, social workers, and licensed professional counselors. In addition to each profession having its own standards for licensure, each state also has its own licensing board. Thus, the laws and guidelines governing a provider within each state may vary, based on the standards determined by that state’s licensing board. Although licensing boards aspire to protect consumers from exploitation and other harm, it is impossible for any licensing board to guarantee that no consumer will be subject to harmful practices. 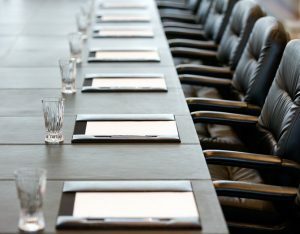 The board’s ability to oversee its practitioners is limited, and any licensing board must depend on its consumers to provide complaints and information about individual practitioners who are violating the standards of the profession. Additionally, licensing boards can be frustrating for the professionals who are licensed by them. In some states, licensing boards may have a limited amount of funding and employees and may therefore leave many therapists feeling as if the board is unresponsive. Moreover, some therapists are of the opinion that licensing boards tend to put too many regulations in place, which effectively prevents them from using techniques and practices that may be helpful to consumers.